Loving the sunshine! The weather has been so beautiful for the past two weeks, it really is lovely to be able to spend much more time outside. Wishing I had an Iced Vanilla Latte. Quick story - I first tried one of these years ago when I was quite young, I think 14? I absolutely HATED them, until this past Saturday when Starbucks where giving out free samples and I thought why not! Turns out I now love them, so when people say your tastes do change as you get older they are obviously right. They make such yummy summer drinks. Watching Charmed. This is a program that was on TV a few years ago and I never really watched it but they have been replaying it recently and I have really got into it. I think I might download it to watch...or steal my brothers DVDs hehe. Eating a Milky Way bar. I love these little things, I have such a sweet tooth and these feel lighter than eating a heavier chocolate bar. Dreaming of far away places. Things are a little stressful at the moment - to put it lightly! 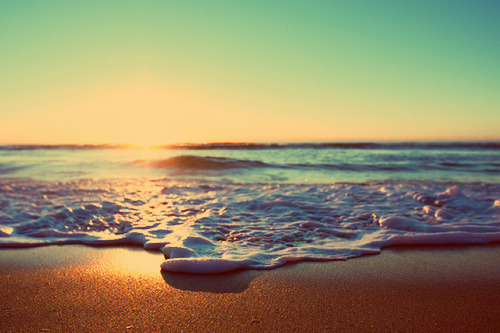 So a holiday sounds wonderful, a few days of lying on a beach somewhere beautiful! Glad to hear you're enjoying the sunshine! It feels like I've been working every sunny day this week, but I'm looking forward to having time to enjoy the sun this summer! And mmm, a vanilla latte sounds good to me!